CEDAR is using the existing dataset generated by CHASE (Child Heart And health Study in England). 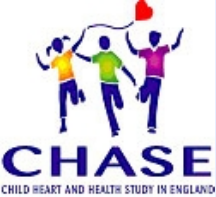 CHASE is an ethnically diverse cohort study of nine to ten year old children led by Professor Peter Whincup, St George’s Hospital, University of London. The study looks at the health of about 5000 primary school children living in London and the Midlands. There has been considerable concern about the increase in the frequency of people being overweight, particularly among young people, and the effects this may have on the long-term health of children, particularly on their risk of conditions such as diabetes and heart disease. The CHASE Study is providing up-to-date evidence on patterns of overweight in children, its influence on the early development of diabetes, heart disease and other important conditions in childhood (particularly asthma and other allergic conditions).